Tacky back no shadow through lightweight for hand embroidery, apparel, and applique. 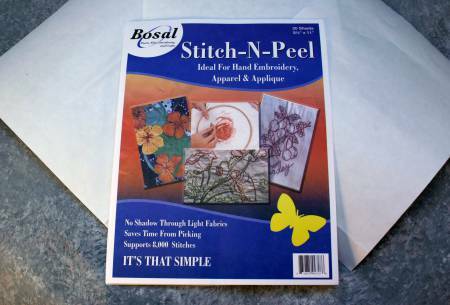 Perfect for your machine applique — using the “no raw edge” technique. Trace and cut like fusible web — but it’s not fusible – -just tacky backed. Works great in your die cutting machines, too!